Quick. 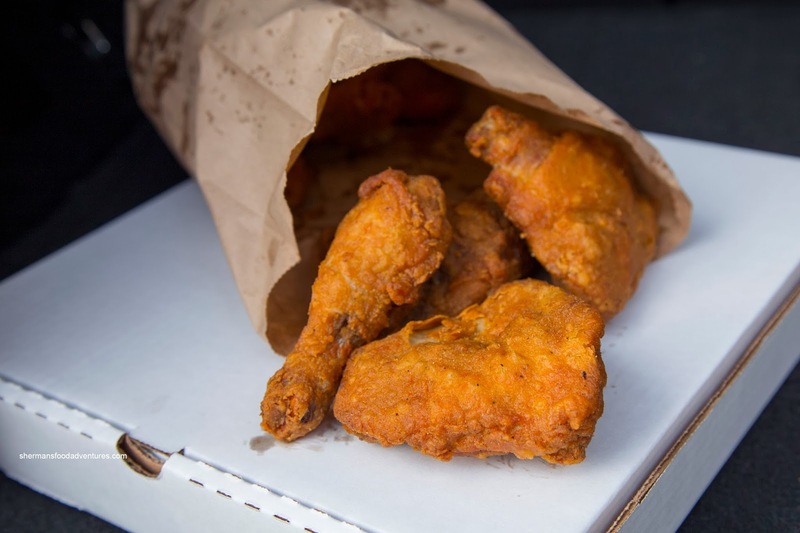 Where would you go to get take-out Fried Chicken at a moment's notice? KFC? Church's? Lee's? LA Chicken??? A Korean restaurant? Yes, those are the more obvious places and really, not a whole lot of choice. We did have Popeye's at one point and Jollibee is at least a year away from their Canadian stores. 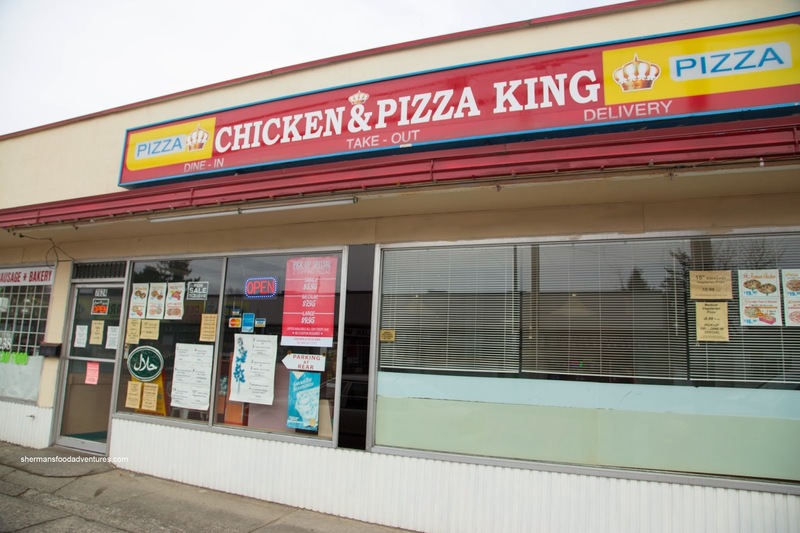 So, I finally relented and decided to try an independent place called Chicken & Pizza King. Yah, the outside looks sketch and well, the inside is even sketchier, but everything deserves a chance right? So to get a good handle on the food, I went for both items in their name starting with a medium Pepperoni & Chicken Pizza. I found the crust to be fairly standard for a take-out joint. It was of a medium thickness while being on the denser, chewier side of the crust continuum. 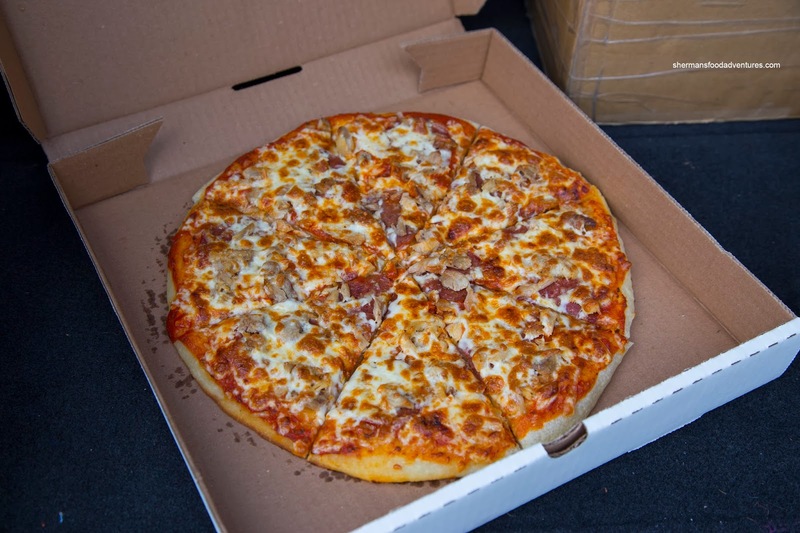 As for the toppings, there was sufficient meat and cheese, but there could've been more tomato sauce as I could barely taste it. Moving onto the Fried Chicken, I liked the thin crispy batter. Delicately seasoned with a hint of spice, I thought it could give the big boys a run for their money. However, the chicken itself was not brined which meant it was rather dry and ordinary tasting on its own. 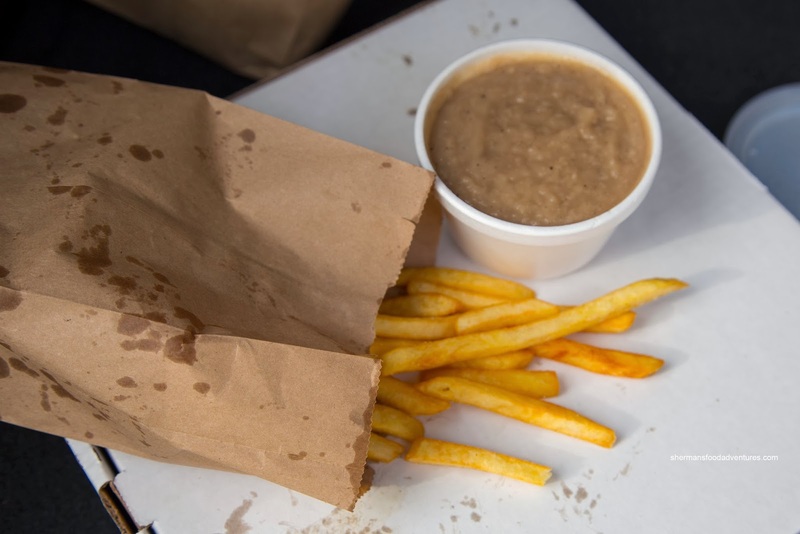 In addition, I got Fries and Gravy as part of the combo. I didn't mind the fries as they were fried up crispy. As for the gravy, that was horrible. Now I understood why the lady suggested I try the macaroni salad in place of the gravy... Looking more like dirty water, it tasted like salty flour. Not exactly something I would dip my food into, let alone eat it. Hey, I tried to be different and avoid the obvious places for fried chicken and really I shouldn't have. Chalk this up to curiosity gone wrong.